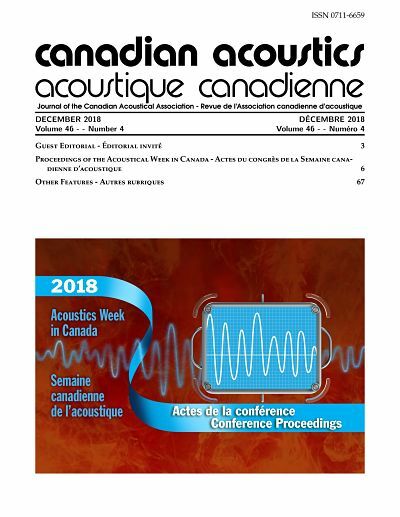 This quarterly journal is free to individual members of the Canadian Acoustical Association (CAA) and institutional subscribers. Canadian Acoustics publishes refereed articles and news items on all aspects of acoustics and vibration. It also includes information on research, reviews, news, employment, new products, activities, discussions, etc. Papers reporting new results and applications, as well as review or tutorial papers and shorter research notes are welcomed, in English or in French.